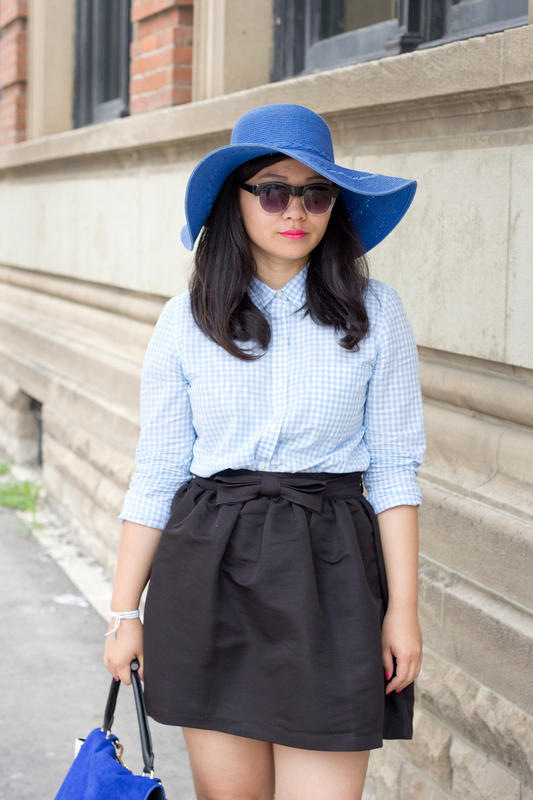 Thanks to this blue floppy hat I picked up from Kind Exchange, my outfit got a lot of compliments while I was walking down Queen street yesterday. 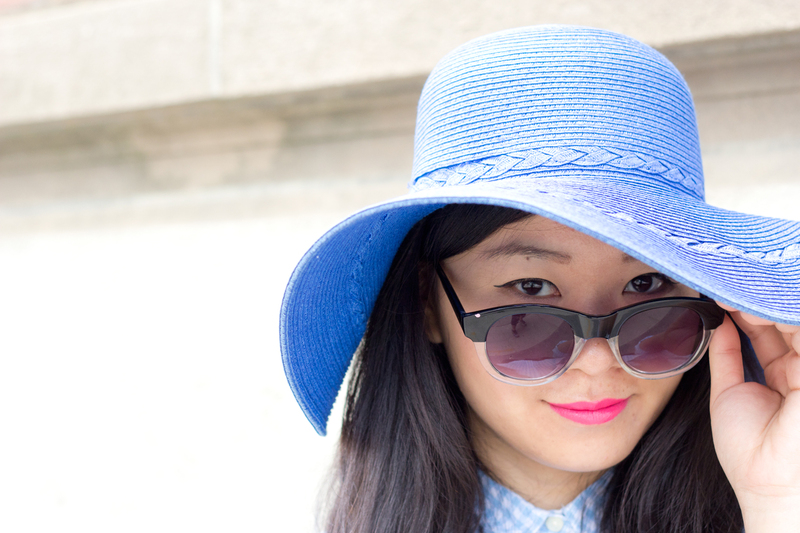 Floppy hat is always an essential piece for summer, and this year, it's going down the road for "the bigger the better". However, when talking about floppy hat though, we'd generally like to pair it with a maxi dress to create that casual chic beach-vibe. So today, let's try something different. How about upgrading a business casual look to an attention-grabbing one? Trust me, with this hat, you will be that IT girl at the after-work party and everybody would be wondering- "who is she?" But since I already have this statement piece, toning down the accessory is the best way to go. After all, I don't wanna to look like I'm trying too hard. Right? I'd also like to talk about Kind Exchange. They are a local store which you can sell/donate the items you are no longer in love with or buy/trade those second-hand pieces in store. When I first discovered them, I wasn't sure about the concept. I didn't mind second-hand designer consignment pieces, but regular brands? Used? I wasn't too impressed. But the more I visited their store, the more I was actually getting to like it. I grabbed this hat for only $10 and it's in a perfect condition. If you are not sure about used pieces, I recommend you to try accessories first and see how you like it. So what are your thoughts on second-hand stores? Can't accept it or you think it's a great concept?